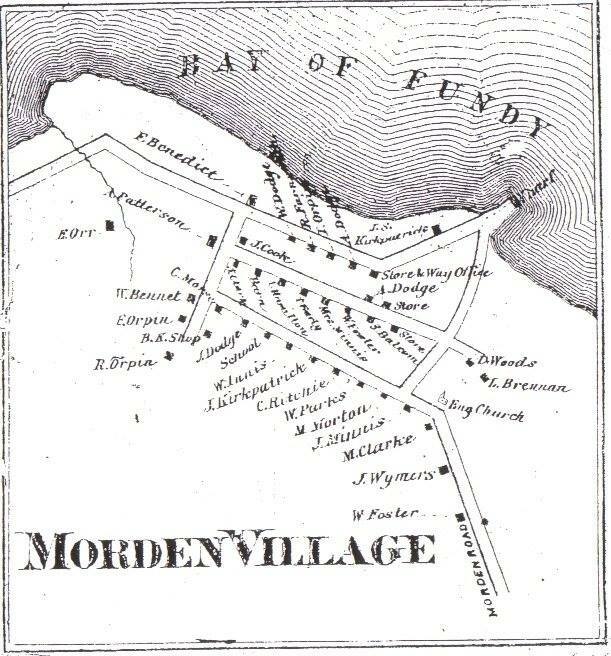 The village of Morden started life as a refuge for a small band of French Acadians fleeing the British expulsion of the French from Nova Scotia in 1755. Under the leadership of one Pierre Melanson and with the help of a local Indian boy, he attempted to move those Acadians across the Bay of Fundy to freedom in New Brunswick. Melanson made a temporary encampment of these Acadians in a place on the Fundy shore, now Morden, in sight of Cape Chignecto and the Isle Aux Haute with plans to move the band by canoe to New Brunswick. However, over the winter of 1755/56 most of them died of disease and starvation and Melanson ultimately also lost his life on a return trip from New Brunswick after making arrangements for their safety. Although the exact number of Acadians who were encamped at this place is unknown, sixty were saved the following day having been transported by canoes to Cape Chignecto into a bay now know as Refugee Cove. In 1756 a wooden memorial cross of drift wood was erected close to the place where those Acadians died in the winter of 1755. 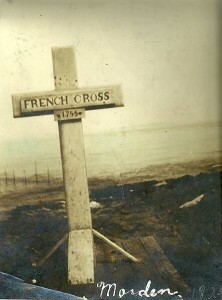 The village that soon grew up around that cross became known as the village of French Cross. In 1783, a James Morden was granted a large tract of land in the area of French Cross for the purposes of developing a transportation hub to provide Halifax with goods coming from Upper Canada through New Brunswick and via the Bay of Fundy. 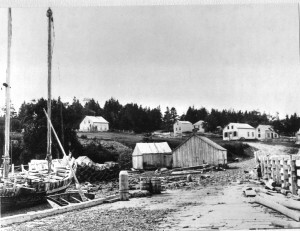 From this village, those goods were transported overland to Halifax saving many weeks of transportation via existing sea routes. By 1868 most of the village was constructed to support the trade and a large wharf was built overseen by Colonel John Butler (a relative of James Morden). 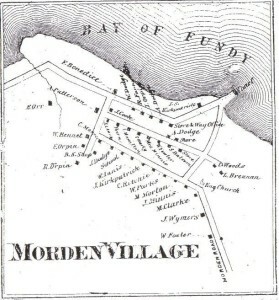 Colonel Butler had the village renamed Morden in recognition of the work by James Morden. Colonel Butler was also responsible for the construction of the Anglican Church in Morden. It was Colonel Butler who is responsible for the “present plan of habitation – three streets running parallel with one another on different levels along the shore” as documented in news articles of the time. Present day Morden has about 250 full-time residents, and about 75 summer residents. Morden is an active community with 3 parks, a beach picnic area, and a community centre that is the focal point of most activities. This includes seven summer-time free-will offering breakfasts served to more than 2,000 hungry people from all around the Annapolis Valley. 1756 First Cross erected of driftwood. It was reported to have been standing there as late as 1820. 1887 A cross was erected by John Moore Orpin, a local land owner (land granted about 1800). 1924 October 8th., a more permanent cross was erected on the spot where the present cross stands. It was built of stone. 1964 August 29th., the present cross was erected using stones from the beach area.